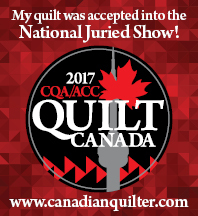 Just when I thought I could not squeeze another project into my already crammed quilting schedule, something exciting came along and grabbed my attention! While I was checking out Barbara Brackman’s Material Culture, a little button caught my eye. The button reads as follows: September 1st I’ll start a new blog with a free pattern Block of the Week. The topic: The Fight for Women’s Rights. Click on the button to see it. How could I not click on the button?? So naturally, my life came to a complete halt! Out came the cutting mat and the rotary cutter and the ruler and the sewing machine…oh…and some fabric and away I went! I cut out one block….then said to myself…”If you are going to make one block, you might as well make three!”. So…here are my blocks for Week 1. (Technically, this is Week 2 and I am already behind!) Wish me luck! I am making steady progress on Sue Garman’s “Bouquets for a New Day”. Once the stems were stitched in place, I added the flowers. I have had the brown fabric I used for the vase for about 10 years. I always knew I would get around to using it! And here is the finished block! « It was a rainy day….. It may be week two but you have three blocks so you are ahead one…. nothing says you have to do each block !! I hadn’t thought of it that way!! Thanks! Wow! I love your new applique block! It’s so true about your brown fabric. We may not know the purpose of some fabrics we buy, but eventually the good choices prove out. I have always loved the saying ‘Buy the fabrics you love and then you will be able to make the quilts you love’. Thanks! It was just so exciting to find something that worked for this block in my fabric collection!